Morvant/Laventille-based Pro League football club, Caledonia AIA, will try to inject some impetus into its 2013/14 season tomorrow on Wednesday September 18 when it hosts Mexican outfit, Toluca, in CONCACAF Champions League action from 8 pm at the Hasely Crawford Stadium, Port of Spain. If Caledonia coach Jamaal Shabazz appears bullish about his team’s chances, it is at least partly down to his new 30-year-old Grenadian signing Kithson “Bully” Bain who is likely to make his debut tomorrow. 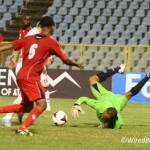 Photo: Grenada international striker and new Caledonia AIA signing Kithson Baird. 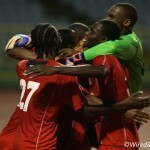 Bain completes a four-man strike force of international players that includes the “Soca Warriors” pair of Jamal Gay and Keyon Edwards and Montserrat striker Julian. Bain, a former England lower league player with Tranmere Rovers, is confident that he can help the “Eastern Stallions”, who were whipped 3-0 by North East Stars in their Pro League opener last Saturday. “I think I have a lot to offer the club and I’m very excited because, honestly, playing here is something I always wanted to do,” said Bain. “And I’m thankful Mr. Shabazz is giving me the opportunity to showcase my talent in Trinidad. “I remember playing many times against Trinidad and while I would have my way with them, I can always remember working hard to get those goals. But that’s what I like to do; work hard at the top. 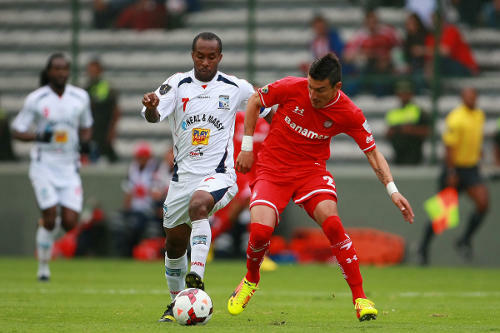 Caledonia has already conceded that it will not advance from its Champions League group after heavy defeats in its first two matches away to Toluca (3-1) and at home to Comunicaciones (3-0). But team captain Stephan David insisted that his team still has a lot to play for in its last two CONCACAF outings this season and will be aiming for six points. “We have been through a lot as a team (and) know of all the sacrifices we’ve made to get here two times (already),” said David. “And though things aren’t going too well for us right now, we can’t just down our heads and walk out… Players were a little down after we lost to North East Stars in the League but we have been playing plenty football (and) didn’t really have a break. 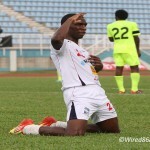 Journeyman utility player Kevaughn Connell, who has five international caps with the Warriors, has also joined Caledonia while midfielder Akim Armstrong is available after shaking off a knee injury. But Caledonia is particularly excited about Bain. 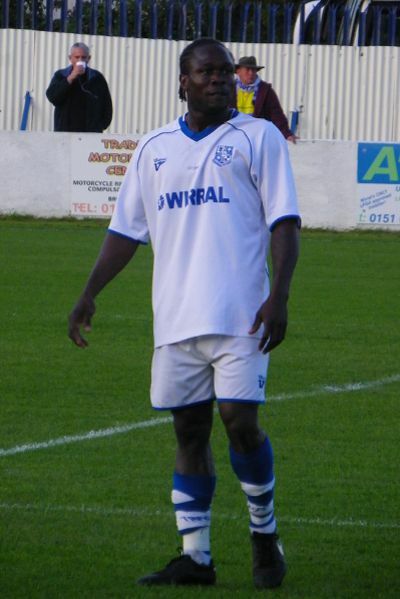 Shabazz first began to plunder the Caribbean market during the Semi Professional Football League (SPFL) and one of his most popular signings was the silky and prolific Grenadian attacker Franklyn “Dollar” Drayton. Bully Bain will try to fill his boots. Caledonia AIA squad (to face Toluca): Shemel Louison, Glenroy Samuel; Akeem Thomas, Aaron Lester, Nuru Muhammad, Noel Williams, Kareem Joseph, Aubrey David, Marcus Ambrose; Stephan David, Miguel Romeo, Densill Theobald, Keron Bethelmy, Nathan Lewis, Abdallah Phillips, Akim Armstrong, Kevaughn Connell; Jamal Gay, Keyon Edwards, Kithson Bain.